Pork Buffet dinner with all the "fixins" will be served, including Coffee/Tea, dessert and tip. 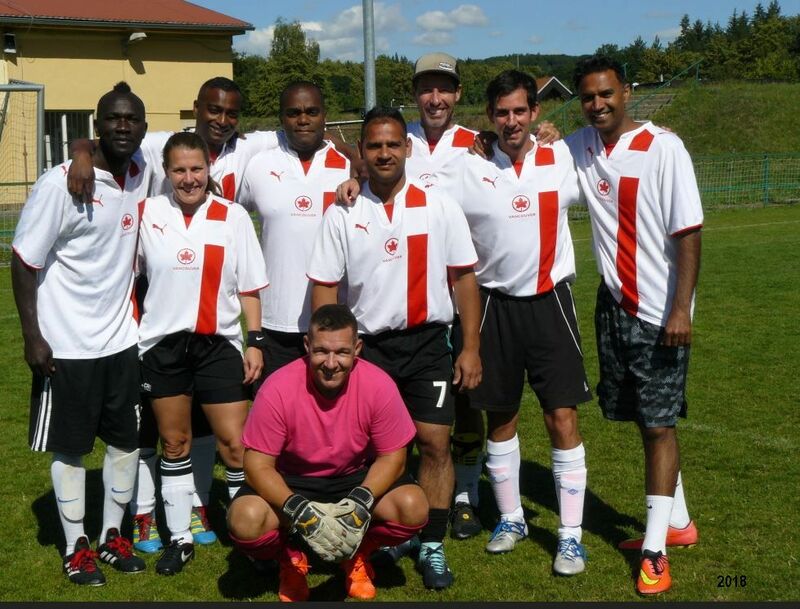 28th 5-side Czech Airlines Soccer Tournament. Note: Air Canada Vancouver participated in the 2018 tournament and reached 7th place in the "Elite" group, they played 8 games and won a game 6:3. 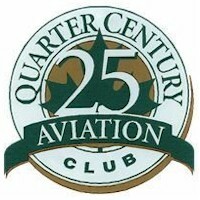 Air Canada results 4 : 5, 0 : 4, 2 : 11, 4 : 6, 6 : 3, 3 : 15, 2 : 4, totals 21 : 48, points 3, place 7. The soccer tournament will be held on the natural grass field near the hotel. Approximate time to get to the soccer field is 15 minutes by bus. In case of bad weather conditions, games may be transferred to the very last (third) generation synthetic grass in their latest modification, which is placed in same territory. Rubber sole stud soccer shoes are allowed to be used on synthetic grass. 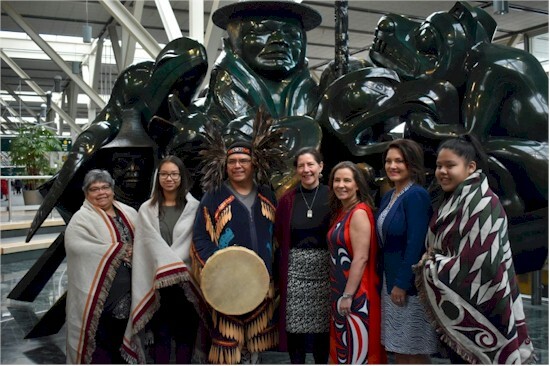 In NetLetter #1400 we mentioned plans for the launch of Canada's first Indigenous women-owned airline to launch out of YVR. Iskwew Air officially began service on March 9, 2019 coinciding with International Women's Day. The word 'Iskwew' means 'woman' in the Cree language. Click Here for the YouTube video of the CBC report. Click Here for the Richmond News article. Air Canada announced a new non-stop route from YVR to Auckland, New Zealand. Flights begin December 2019 through to March 2020. April 2019 - Non-stop service between Toronto and Vienna, Austria. 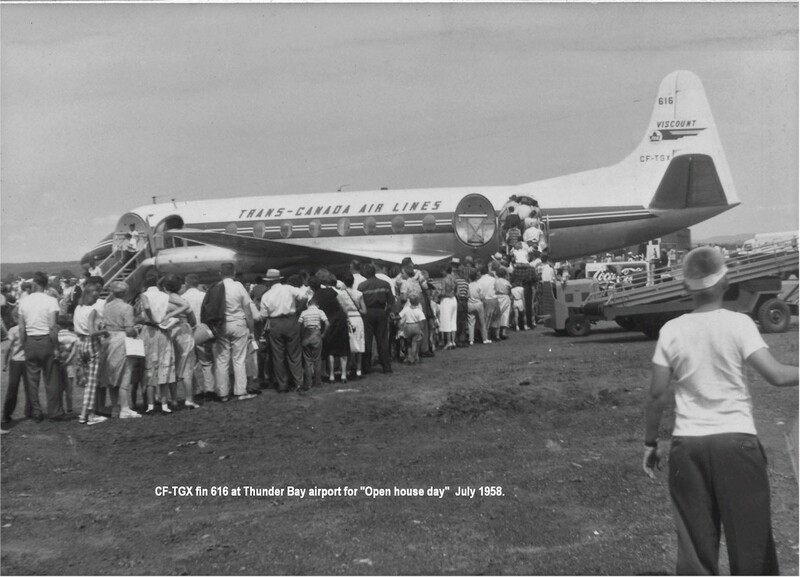 Here we have a photo of CF-TGX fin #616 at Thunder Bay airport for "Open House Day" July 1958. 1943, July 22 - Service commenced Montreal - Prestwick for C-GAS with Lancastrian equipment. 1951, April 1 - Inaugural service Montreal-Paris via London (LHR). 1958, May 15 - Inaugural service Montreal - Paris direct. 1966, June 1 - Service commenced between Canada and Moscow..
1985, June 15 - Inaugural service between Ottawa and London England using L-1011 equipment. 1986 - Replacement of Connoisseur service by the new Executive Class. 2011, December 18 - Air Canada Rouge launched. 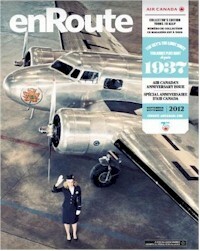 Here is the cover of the enRoute magazine issued September 2012. 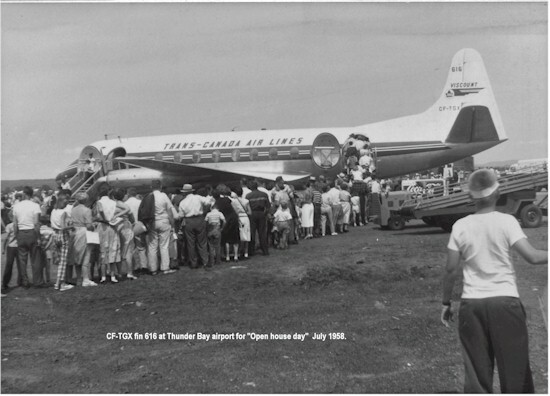 Following the meeting between Canadian and British Government representatives in Bermuda, a bi-lateral Canadian-British agreement has been signed whereby a maximum of three hundred and fifty passengers every week will be able to fly each way on Trans-Canada Air Lines and B.O.A.C - aircraft, the companies operating jointly. The two terminals will be Dorval, Montreal, and Prestwick, Scotland - the latter until Heathrow is fit for all-weather use. 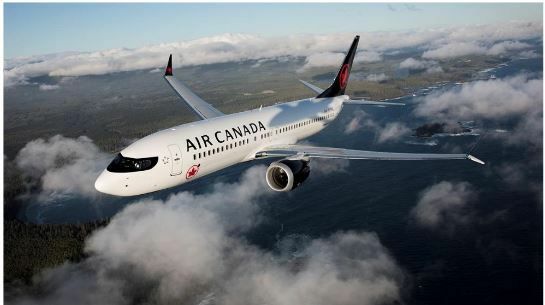 In the meantime, Trans-Canada Air Lines have reduced their Atlantic fare to £83 for the single journey, as against the £127 previously charged. The service is now opened to non-priority passengers. The company recently honoured a group of 12 Toronto-based employees who retired with a combined service date of close to 300 years. Friends and co-workers shared a chuckle or two over posters of the guests of honor taken from photos that had appeared on their applications for employment. In the photo are, standing from the left: Reservations Supervisors Bruce Maxim and Bill Schultz; Claire Shields, Personnel Services Manager; Ralph Martin, Reservations Supervisor; Ken Bruce, Sales Representative, Hamilton, Ontario and Bill Hendry, Sales Office Supervisor. Seated, from the left, are: Jinny Bradshaw, Project Manager, Marketing; Pat Ford, Regional Training and Development Instructor; Enid Jordison, Customer Relations Representative and Don Morrison, Regional Customer Relations Manager. Absent from the photo, but not to be forgotten, are Barry Nye, Manager, Human Resources Programs and Bob Rathwell, Sales Representative. The presidents or their representatives of the Air Canada Recreation Associations across the system met recently in Montreal for a daylong exchange of views and ideas concerning their programs of upcoming activities planned for employees. Early in the day, President Pierre Jeanniot dropped in to meet the group which is shown here in this photograph. 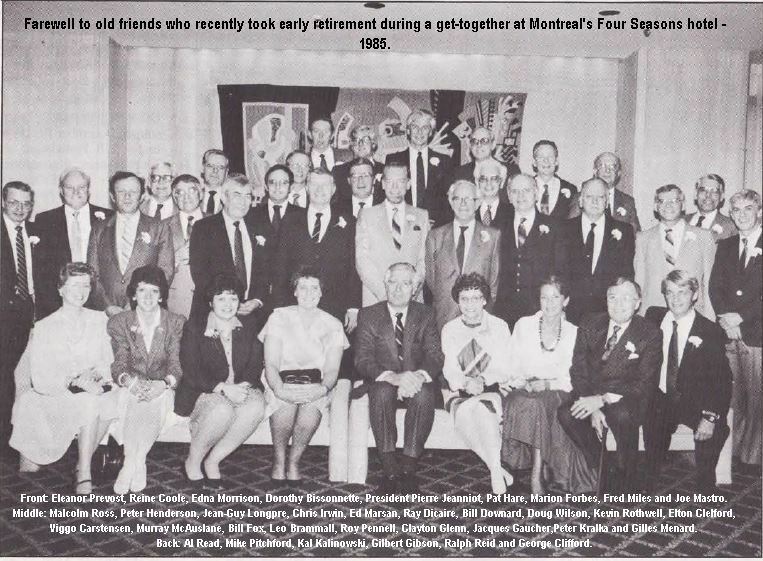 Back row, from the left, are: Crispin Colvin, London, Ontario; Jim Miller, Toronto; Brian Connolly, Halifax; Jim Batten, Ottawa; Bob Preiss, Winnipeg; Naish Batten, Sydney, Nova Scotia and Jason Trehas, Regina. Middle row, from the left: Dave Leslie, Edmonton; Noel Ebden, Saskatoon; Ken Rodgers, London, England; Bernie Curwin, Moncton; Bernie Allardyce, Vancouver; Roger Bernard, Quebec City; and Andy Joy, St. John's. Front row, from the left, are: Gail Ellis, Employee Services Coordinator, Montreal; Robbie Willianen, Thunder Bay; Deidra Roberts, San Francisco; Pierre Jeanniot and Diane Drury, Montreal and Cory Smith, Los Angeles. Sales and additions to the company's fleet underline the need for an update in April 1985. DC-8-54, fin #812, was sold on December 19, 1984 to the Lift Foundation of Liechtenstein. Its market value was $300-$500,000 U.S.
DC-8-54, fin #815, was parked at Dorval, and was used for spare parts. The hull, which had no market value, was sold to the Royal Canadian Mounted Police in November 1984. Subsequently broken up in November 1993. Three DC-8-63s (fins #868, 869 and 870) went to ATASCO Inc. of Zug, Switzerland on December 29, 1984. The aircraft remain parked at Marana, Arizona, until delivery which is slated for the middle of the year 1985. DC-8-63 fin #879 was sold to LAP, the Paraguayan national airline, on December 21, 1984. Its market value was $4 million U.S.
B-747, fin #302, was delivered to the GPA Group at the end of May 1, 1985 – its market value is $19 million U.S.
B-727-233A, fin #403, was sold to Federal Express, delivery on April 3, 1985, re-registered N220FE named "Emily Rose". Its market value was $7-$8 million U.S. Seven DC-8-61s parked in long-term storage at Marana. Two DC-8-63s, also at Marana. Two L-1011s leased to Gulf Air were delivered in June 1985. 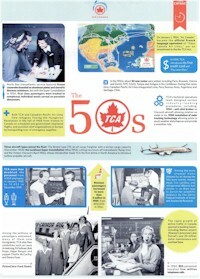 Place Air Canada staff honored their fellow employees who took early retirement. Shown during a get-together at Montreal's Four Seasons hotel are, front row, from the left: Eleanor Prevost. Reine Coole, Edna Morrison, Dorothy Bissonnette, President Pierre Jeanniot, Pat Hare, Marion Forbes, Fred Miles and Joe Mastro. Second row, from the left, are: Malcolm Ross. Peter Henderson, Jean-Guy Longpre, Chris Irwin, Ed Marsan, Ray Dicaire, Bill Downard, Doug Wilson, Kevin Rothwell, Elton Clelford, Viggo Carstensen, Murray McAuslane, Bill Fox, Leo Brammall, Roy Pennell, Clayton Glenn, Jacques Gaucher, Peter Kralka and Gilles Menard. Back row, from the left, are: Al Read, Mike Pitchford, Kal Kalinowski, Gilbert Gibson, Ralph Reid and George Clifford. Issue dated October 1984 & March 1985. 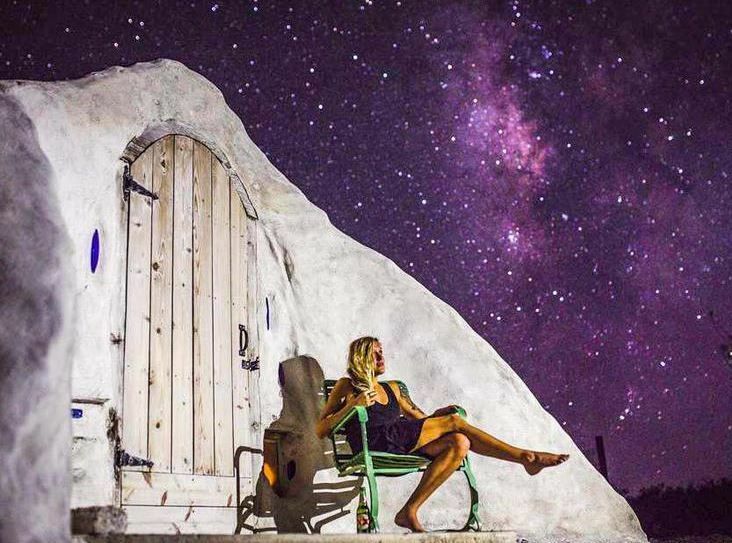 The 224 passengers embarked on a worldwide journey of a lifetime under the command of Captain Don Stinson travelling in the luxury of a 747 aircraft and stayed at first class hotels along the way. Each passenger paid a base price of $5,600 and the surcharges for 'J' and 'F' seats were $1,000 and $2,000 respectively. The price was all inclusive: air fare, accommodation, many meals and conducted tours. The exotic trip departed from Toronto on January 25, 1985 and visited such destinations as Rio de Janiero, Capetown, Sri Lanka, Mauritius, Bali and Sydney. The airline had never visited many of the cities before. The tour wound up in Toronto on February 11, 1985. The eagle eyes of three Heathrow passenger agents prevented five illegal immigrants from entering Canada and earned the trio some very high praise from the Canadian High Commission in London. The incident occurred when five Asians holding Pakistani passports checked in for Flight 865 to Montreal. They checked in at different desks where Mandy Huckins, Kate McDonald and Françoise Jolly were on duty. The passengers each had visas which, to the layman's eye would appear genuine, but not so to the staff. A tiny smudge on the visa wording triggered an inquiry and cross-referencing among the agents. A thorough examination revealed several faults with the documents though the forgeries were generally acknowledged as excellent. Ian Williamson, Senior Passenger Agent who trains agents to spot such items, was called in and he, in turn, contacted Bob Lynch, Airport Passenger Service Manager. The five were refused carriage and were handed over to British Immigration who arranged repatriation to Pakistan. The eighth AGM of the Pionairs was held at Anaheim, California April 25-28, 1985. 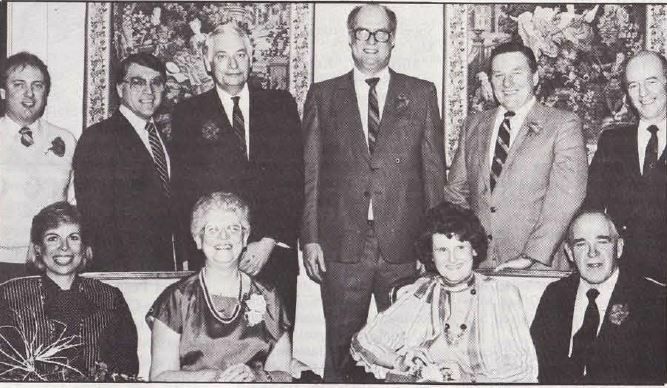 The new for 1985 Pionairs executive were Treasurer Ray White, Secretary Gene Brown, First V.P. Jack Somerset, President Frank Dunlop, Second V.P. Blake Austin. Issue dated June 1985 - Alumni plans. Alumni President Jim Gehlsen advised that the 14th annual get-together of the TCA Alumni will be held at the Breckenridge Resort Hotel at St. Petersburg Beach November 11-13, 1985. Issue dated March 2012 (Used with permission). Here is the 1950 version. It’s not every day you run or walk on a runway with airplanes either taking off or arriving on another runway close by. On June 18, 2011 more than 2,000 people experienced just that as they participated in the Toronto Pearson Airport’s fourth annual Runway Run/Walk for charity. This popular event saw people either run 5 km or walk 2 km on an inactive runway. A group of Air Canada pilots represented our airline and took on other companies and agencies including the GTAA and Peel Police for the best average score. Our pilots finished in first with an average run time of 25 minutes and 43 seconds. From left to right are Captain Luigi Torano, First Officer Shawn Wilson, First Officer Zan Vetter, First Officer Gord Wright, First Officer Glennis Walsh, Captain Doug Morris, Captain Doug Cochrane, First Officer Brent McCarroll, Captain Brian Godberson, Captain Ryan Bradley. Canadian Pacific Airlines has named Donald Carty as President and Chief Executive Officer. Carty, who was formerly Senior Vice President and Controller at American Airlines, replaces Dan Colussy, who resigned from the position after two years, but remains CP Air's Chairman. A native of Toronto, he has held a number of senior positions with American Airlines since joining the company seven years ago. 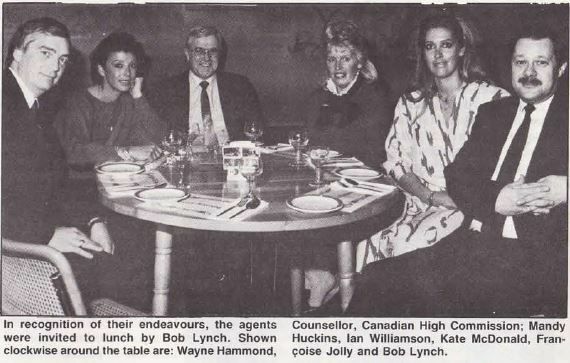 He also worked briefly for Air Canada and Celanese Canada before moving to the U.S. in 1984. He has served as chairman of the Economics and Finance Council of the United States' Air Transport Association. MacKenzie Air Service Ltd.: Canada (1933-1942). WW-I flier, Leigh Brintnell formed MacKenzie Air Service in 1932. In 1935 MAS used a Bellanca 66-70 Aircruiser (called Eldorado Radium Silver Express - CF-AWR) to carry uranium ore concentrate from the Eldorado Gold Mine located on Great Bear Lake in the Northwest Territories to Edmonton, Alberta for further shipment to Eldorado's refinery in Ontario. Two more Aircruisers were added to MacKenzie's fleet, CF-BKV in 1938 and CF-BTW in 1940. MAS also purchased a Noorduyn Mark-III Norseman (CF-AZA) to carry air mail. While Brintnell was president of Northwest Industries in Edmonton, MacKenzie Air Service was amalgamated into Canadian Pacific Airlines in 1941. Air Mail had begun to make a return not long after this and Canadian Airways joined with MacKenzie Air Services to form United Air Services Limited. 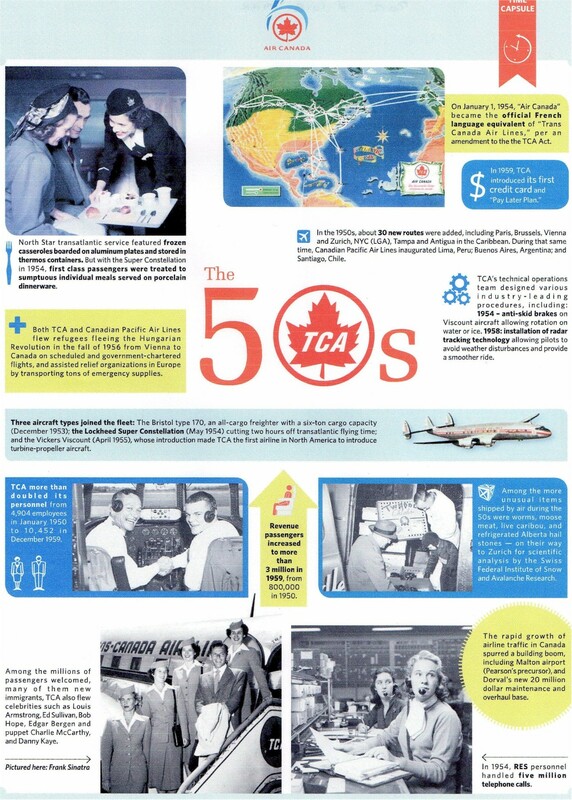 Together, both companies competed with Trans-Canada Air Lines and offered services spanning from Edmonton, right up to the Arctic. Inaugurates operations on January 1, 1933 by flying fresh vegetables from Edmonton to the Eldorado Mines at Great Bear Lake. The route to Great Bear Lake is continued. During 1938, scheduled flights are undertaken linking the company’s base with Port Radium via Yellowknife and Gordon Lake. During the spring of 1941, the carrier is purchased by Canadian Pacific Railway and is merged with the Canadian Airways, Ltd. service from Edmonton to Prince Albert under the marketing title United Air Services, Ltd. in July. Six months later, on January 30, 1942, MacKenzie is one of several air transport companies merged to form Canadian Pacific Air Lines, Ltd. The Canadian government has authorized Wardair to operate scheduled service between Canada and the United Kingdom. The carrier has permission to operate into London, Prestwick and Manchester and will likely begin service this 1985 fall. It’s been a while since we have visited the history of the DC-8. I seem to go back to this aircraft from time to time because its story is always fascinating. It was the first aircraft type that I flew on as an Air Canada employee back in 1980 at a time when it was destined to be replaced by the Boeing 767. Gradually the remaining “Stretch 8’s” in the fleet were converted to all cargo configuration and eventually fully retired. I have always felt that I missed a significant part of aviation history when it was the class of the fleets of many airlines. Here are links to my previous DC-8 items: NL #1325 & NL #1343. 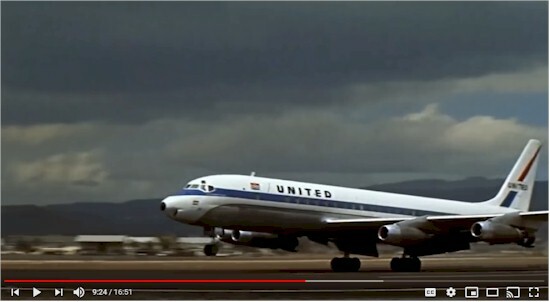 Below is a link to an interesting YouTube video detailing the development and launch of the DC-8. “I am trying to find the registration letters for 2 aircraft (photoes below) that I photographed 22 March 1977 parked on the ramp at CYHD / Dryden, Ontario. The first is a de Havilland DOVE, which I thought was owned by AirDale. The second a Saunders ST-27 that was owned by ON AIR LIMITED in 1977. I am unable to find any reference to these 2 carriers or any data bases for either carrier regarding defunct status? My photograph notes respectively said CF-ED and CF-MEW; however upon close inspection with magnifying glass & stronger eye glasses they are not correct??? I and Ken Kalynuk (CYWG) have been struggling with these identifications for 2 years +/- !!!! Your assistance (would be) very much appreciated. In NetLetter #1409 we had information regarding the seating for the Viscount – Robert Arnold has a large collection of drawings relative to the Viscount, and sent us some information of the various proposals for seating, but not necessarily implemented. 33-10197 2-Mar-1960 Cross Section Layout - proposed Viscount High Density seat type only. Aerosmith / T-1378 22-Jul-1960 General Seating Specification Viscount 700 Series - 54 passengers. 32-10222 19-Jan-1962 Divider Bulkhead - Mixed Class Seating Proposal. 33-10620 30-May-1971 Proposal Royal Family VIP Arrangement, Viscount, 46 passengers. 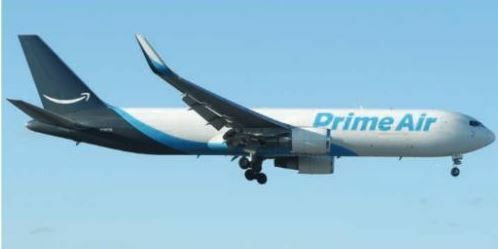 Atlas Air was operating B-767-375 c/n 5865 first flight February 23, 2019 on behalf of Prime Air performing a delivery service for Amazon when it crashed recently en route to Miami. Originally ordered for Canadian Airlines International registered as C-GCAW in 1992 but not delivered. The Tupolev Tu-144 SST made its initial 38 min flight on December 31, 1969, 50 years ago, after a 3 day delay due to bad weather, from an unnamed Moscow airport. The prototype had been assembled and ground tested at the Tupolev plant at Zhukovsky, near Moscow. British Airways rolls back years with BOAC livery. 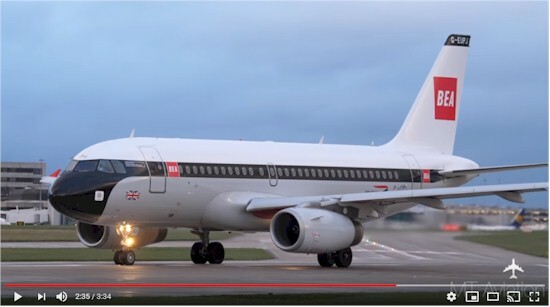 British Airways' celebration of it's 100th anniversary got underway on February 18, 2019 with the unveiling of the first of several aircraft with retro colour schemes. 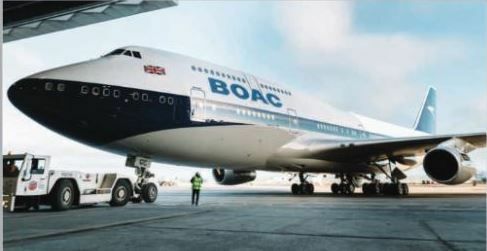 The initial jet, a Boeing 747-400 (G-BYGC), has been repainted in the BOAC livery of BA's predecessor in the 1960's and early 1970's. Further details soon of its plans for further "retro jet" liveries, rumoured to include earlier British Airways schemes along with that of BEA, BOAC's short-haul contemporary which is believed to be destined for an Airbus A319. The A319 (as mentioned above) in BEA livery went into service 2 weeks ago. Click Here for a link to a YouTube video showing it arriving LHR March 4 on its ferry flight from Dublin where it was painted (as was the 747-400). Later that day it operated a round trip LHR-MAN-LHR. Departing MAN here on the return trip. Click the image below. As the Learjet 25B passed in front of the sun, it cast a shadow on the Boeing 737 MAX 8 during our recent Air-to-Air photo shoot. According to Brian Losito, Air Canada Corporate Photographer, the pilots have special skills and experience in formation flying. The photo platform and target aircraft fly at a low level while dealing with moderate to high G-forces. A flight crew is landing at an unfamiliar airport. The control tower gives them a runway assignment, and they start their approach. The pilot says, "Does that runway look kind of short to you?" The co-pilot says, "It sure does." "I thought it was supposed to be longer than that"
"I want thrust reversers the minute we touch." "Standing by on the thrust reversers." "And full power once thrust reversers are set." "I'm gonna try to catch the very end of the runway and stand on the brakes. Stand by to reverse thrust." They touch down, blast the thrust reversers, stomp the brakes, and just manage to get the plane stopped before it runs off into the grass. The pilot says, "Damn, that was a short runway." The co-pilot says, "Yeah, but look how wide it is."